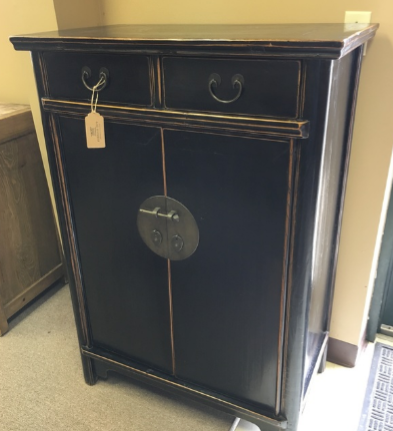 Furnish Out will hold their next sale of this unique, handmade furniture and accessories over the weekend of August 27 & 28 from 8 a.m. to 4 p.m. each day, at 2304 Spruce Hills Dr., Bettendorf. “Past sales have been held at our home and at a warehouse donated by Bob Walters Homes,” Dan said, “but this time, the kind folks at Mel Foster Co. have donated the use of a retail space in Cumberland Square.” Furnish Out’s business model is to hold two event sales per year rather than have a full-time, retail storefront. “This allows a sustainable income stream to help fund China Hope’s activities in China, but also allows us to keep our costs low, which in turn generates more profit to be given away,” said Carrie.